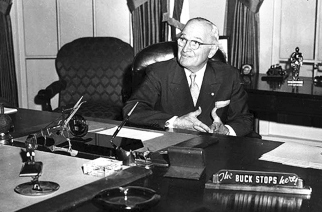 For those of you who are history freaks, you know that President Harry S. Truman had a sign on his desk that read: “The Buck Stops Here.” It meant he accepted accountability for all the decisions of his administration. Truman’s stand exists in organizations today but, unfortunately, as the exception rather than the rule. In Brandon Hall Group’s 2014 State of Performance Management Survey, 34% of global organizations said that executives do not hold leaders accountable for performance. In our 2014 State of Talent Management Survey, results showed that 39% plan to increase or significantly increase their focus next year on holding managers accountable. 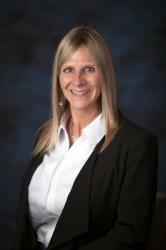 Without accountability, even the most brilliant, hard-working, well-intentioned leaders fail – they fail to meet their performance goals, they fail to develop their teams, they fail to hire top talent, they fail to coach their employees, they fail to communicate clearly, they fail to optimize performance, and they fail the business overall. Effective leadership requires real accountability. When leaders take personal accountability, they are willing to answer for the outcomes of their choices, their behaviors, and their actions in all situations in which they are involved. Accountable leaders do not blame others when things go topsy-turvy. Rather, they make things right – they are fixers. Accountable leaders build an accurate understanding of their organization – where it excels and where it has opportunity. Accountable leaders step up to champion opportunities to succeed. Accountable leaders question the decisions and processes that shape your organization. They ask questions and they find answers – the best answers. Accountability goes beyond individual actions and decisions. Accountable leaders assume ownership for the performance of their teams – just like Truman assumed accountability for the performance of his administration. An accountable leader takes responsibility. Taking responsibility can be frightening, especially for new leaders. But it beats the alternative which is having it forced upon you. Until you take responsibility, you are nothing more than a martyr. And a martyr is the opposite of a leader. Our research and discussions with executives and other business leaders in high-performance organizations suggest that accountable leaders are built by the adoption of at least 4 separate strategies. Accountability starts with honesty. Often this requires setting aside personal pride, admitting your own mistakes, and being completely honest with yourself. Honest leaders become accountable by reviewing their own role in a situation and devising a reasonable solution to resolve issues, conflict, and challenges in an authentic and genuine fashion. Accountable leaders voluntarily say, “I’m sorry” when something has gone awry and they are responsible for the wrongdoing. The backdrop to a real apology is a focus on making amends, committing to what needs to be done to fix the situation, and executing on it when promised. By apologizing and creating a plan to fix the situation, accountable leaders allow a focus on the end goal rather than on the problem. Accountable leaders seek input from others – bosses, peers, direct reports, friends and partners – about how something that didn’t go so well could have gone better. Accountable leaders look for ways to do things differently in the future. They seek opportunities to initiate change when the change instigates improved ways of handling situations, making decisions, and developing talent. Accountable leaders do not avoid responsibility, they do not procrastinate, and they do not under or over commit. They know when to say no and they know when to ask for more. Before agreeing to new tasks, new deliverables, new to-do’s, they review their schedules and know whether they have the physical time required to complete the work on time and with quality. If unsure about whether they can commit, they say no to the task and yes to the person asking for the commitment. In this way, accountable leaders provide their own insurance that they won’t let promised work go undone. Developing accountability is a challenge for most leaders – exactly why more organizations told us that they plan to invest more resources on helping to build their leaders as accountable. Accountability builds trust within teams, creates respect between leaders and employees, and promotes a sense of fairness that is essential to an engaged workforce. Accountability is about the near-wins, not the wins. Accountability is in the striving and the reaching, the journey, the promise of getting there, and the perpetual self-refinement. Accountability is about a leader’s overall commitment to excellence – elevating her game, keeping herself improving and fired up. That is the mark of a true leader. Accountability is exactly why leadership is so tough and exactly why there are so few real leaders. Are your leaders accountable? How have you gone about developing them as accountable? What has worked and what hasn’t as you embarked on transforming your leadership culture to accountable (from anything else)? I’ve gone through this article but realize that you’re confusing accountability with responsibility. Everything you’ve written here is about responsibility and not accountability. Even the example you gave about Harry Truman is about responsibility. He takes responsibility of all the things that happen in his administration. Being accountable means showing that you’re doing what you promised to do. But being responsible is everything you discussed.